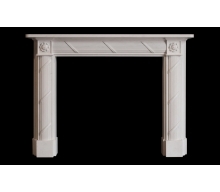 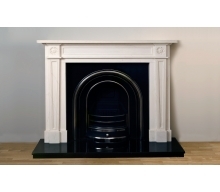 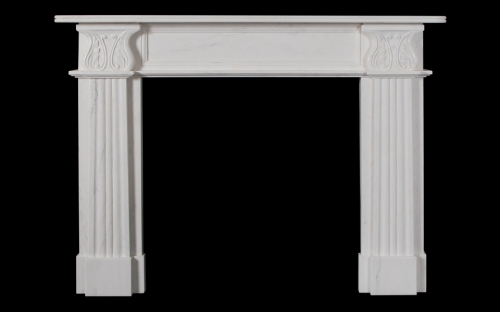 The Acanthus marble fireplace is a faithful rendering of a design that has remained popular since its introduction in the Regency period. 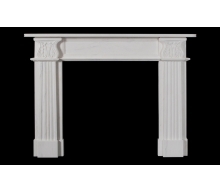 It is characterised by the carefully shaped acanthus leaf capitals atop the reeded jambs. 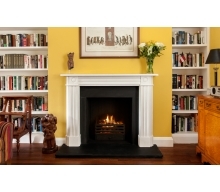 "We are absolutely thrilled with it and it has transformed the room which now looks in period with the right size of surround for the room."